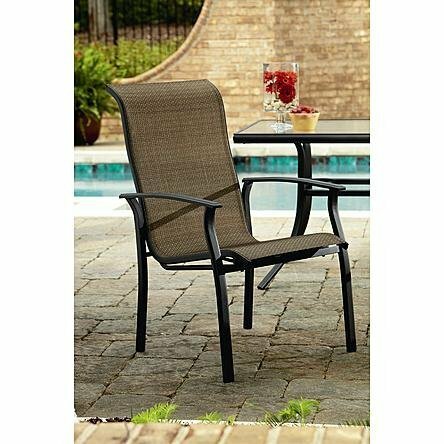 Item # 07120296000P Model # SS-I-139N Expand your entertaining options with the Harrison 1 pack Stationary Patio Dining Chair. Don't let lack of seating hold you back! With the Harrison 1 Pack Stationary Dining Chair you'll never run out of room for entertaining. Lightweight sling material makes this chair an agreeable option for additional seating at your outdoor dining area. With steel frames that are weather resistant and UV protected sling, this chair can survive all the seasons you put it through. Whether you're looking to expand your dining set or just looking for extra seating options, the Harrison 1 Pack Stationary Dining Chair is the perfect fit to offer more space for entertaining! 2 year frame warranty, 1 year limited general warranty on all other parts. 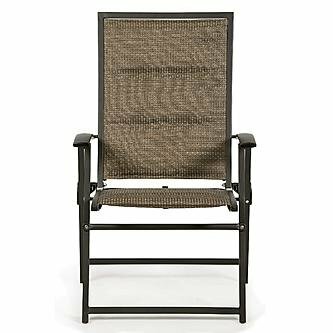 The Harrison Matching Folding Padded Sling Chair has all-weather padded sling for longevity and folds to take up less room when not in use. Just add your favorite drink and relax in style. Its generous size and graceful design ensure the Coral Coast Harrison 8-ft. Wood Garden Bridge will enhance the look of your own personal outdoor oasis. 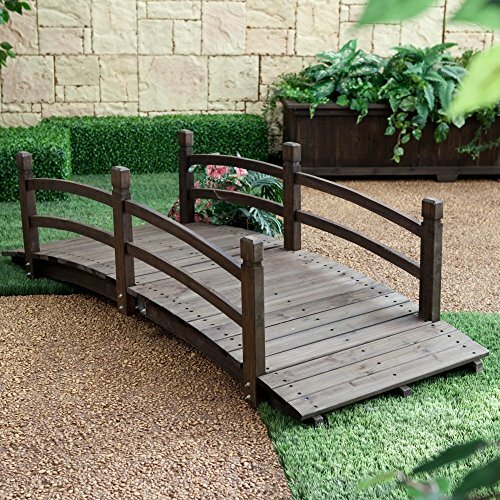 Large enough to use as a traditional bridge over a stream, or just to add visual appeal, this bridge connects your garden to something magical. It's well-crafted of fir wood, which means it's naturally resistant to mold, rot, and insects, and if left untreated it will eventually patina to a handsome silver color. But you can stain it any way you like if you prefer a finished look. Deocrative railings are the perfect finishing touch, giving it a classic design that beautifully blends into any garden or backyard. Detailed Dimensions: Side Post: 18.90L x 2.36W x 1.57H inches Center Post: 18.90L x 2.36W x 1.57H inches Railing: 35.4L x 1.57W x 0.79H inches Arch: 48.43L x 3.15W x 1.10H inches Center Arch: 48.4L x 3.15W x 1.10H inches Long Boards: 28.7L x 2.68W x 0.71H inches Short Boards: 25.6L x 2.68W x 0.71H inches Dimensions: 96L x 29W x 19H inches. Gorgeous fir wood, freestanding garden bridge. Resists rot, mold, cracking, splitting. Unfinished so you can stain as you like. 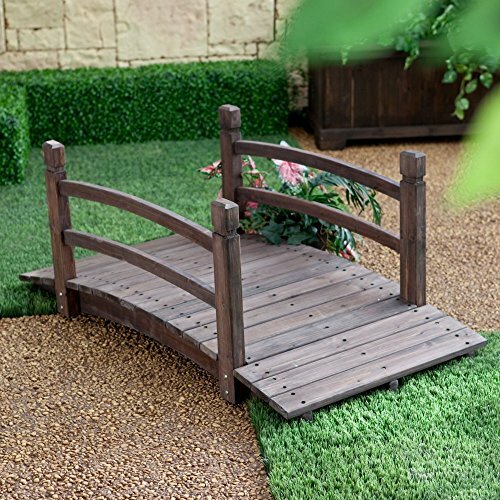 To create a complete garden oasis, simply add this handsome foot bridge. 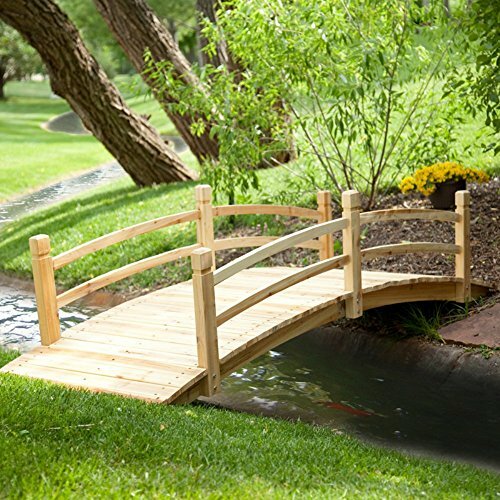 Whether you use it as a way to cross a babbling brook or a stream made simply of flowers, this bridge is a sure way to enhance the beauty of your yard. It's crafted of beautiful cedar that is naturally resistant to water and insects and has a dark brown stain that heightens the colors of your flower garden. Its simple design goes well with any garden theme and because it's already stained, there's no maintenance to worry over. Don't be afraid of relaxing this summer! The Harrison Side Table offers a modern convenience to any backyard seating area. Its lightweight yet durable construction make it easy to maneuver and ensure it will last all summer long. 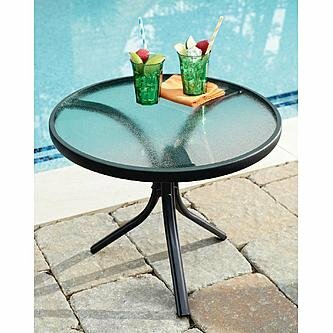 Whether you're adding it by your poolside chair to hold a good book or using it to be the centerpiece of a small seating area, this round glass tabletop is the perfect way to add convenience to any outdoor space. Description Material: Resin Color: As the picture shown Theme:As the picture shown Size: White Dolphin:1*2cm Sailboat:3.1*4cm Weather Forecast:2.2*2cm Windmill Hut:2*12cm Double Church:1.8*1.2cm Mini House:1.3*1.3cm Mini Castle:2*1cm Girls& Boys: High 4cm White Rabbit:2cm x 3cm/0.8" x 1.2" Swan:2cm x 1.5cm/0.6" x 1.2" Sheep:Dia S-1cm/M-1.5cm/L-2cm Girls:Embrace Girls-3cm,Wear White Shirt Girls-3cm,Wear Pink Dress Girls-2cm,Wear Red Dress Girls-3.5cm,Wear Orange Shoes Girls-3cm,Wear Pink Shoes Girls-3cm, Lovely Girls:1*4cm White Lighthouse:1.5*4cm Cute Panda:2.3*2cm Lollipop:2.5cm Colorful Starfish:2cm Yellow Ducks:1.5*1*1.5cm Big Ear Rabbit:2*2cm Package included: Bonsai Ornament 100% Brand new and high quality. Perfect for any miniature garden, Dollhouse or Shadowbox scene. 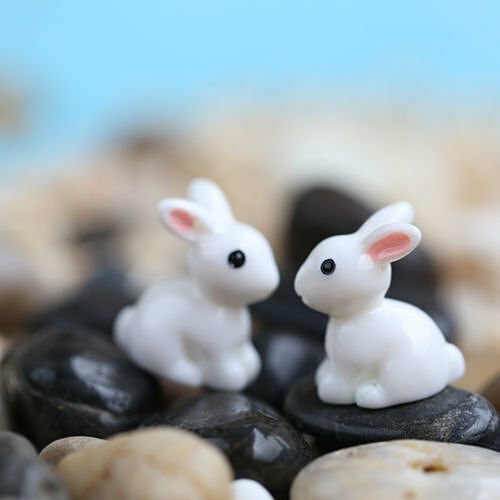 Cute and mini ornaments with realistic shape and fine workmanship, essential for micro landscape DIY landscaping. Realistic shape, fine workmanship is essential micro landscape DIY landscaping! Suitable with small decorative gardening. Mini, hand-painted, each color will be slightly different. Notice: Please allow 1-3cm error due to manual measurement and make sure you do not mind before ordering. Please understand that colors may exist chromatic aberration as the different placement of pictures. 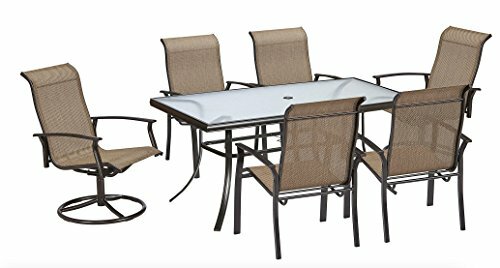 Sears Garden Oasis LCM486 Thanks for viewing! You can visit our website at www.gardenwinds.com or give us a call at (877) 479-4637 We have hundreds of other canopy replacements available! 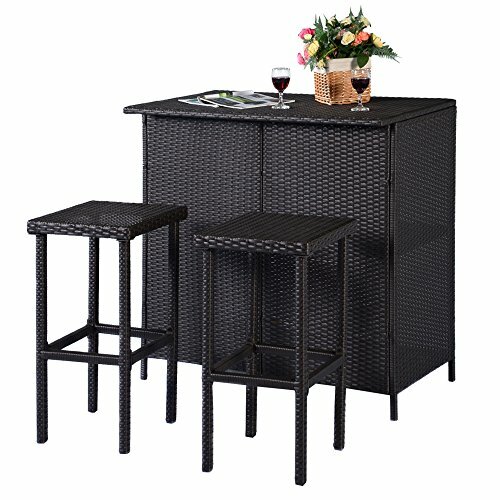 Compare prices on Garden Oasis Harrison at ShoppinGent.com – use promo codes and coupons for best offers and deals. Start smart buying with ShoppinGent.com right now and choose your golden price on every purchase.